M&M's have a new offer for Christmas! 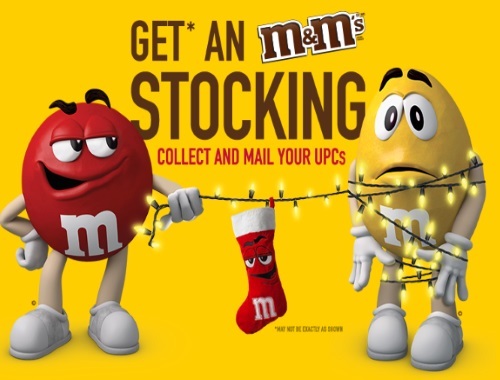 Receive one "Holidays are better with M&Ms" promotion gift (approx retail value $12.99) when you buy any four Mars Canada Inc Share & Go Packs (100g – 144g), Take Home Size (165g – 230g), Bowl Size Packs (324g – 400g), M&M’S Bottles (100g), CELEBRATIONS (315g) or M&M’S MINIS Stocking Stuffer pack (120g), any variety. Offer Valid until December 31 2016 or while supplies last. Offer available only in Canada and cannot be combined with any other offer. Limit of 2 per household. Click here for participating products.